Most triathletes spend the majority of their training hours on the three disciplines of the sport; few spend sufficient time practicing the actual mechanics of transitions and preparing for the subsequent segment while still competing in either the swim or bike portion. 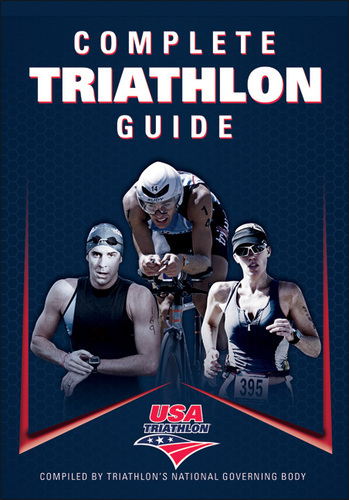 Therefore, the aim of this chapter is to discuss what some have called the fourth discipline of triathlon-transitions-including how to minimize the amount of time spent in T1 and T2 and how, from an exercise physiology aspect, to improve overall triathlon performance by taking advantage of recent advancements in pacing and drafting strategies across all disciplines. Various studies have shown that the transition from one event of the race to another has important implications for physiological and kinematic (movement of the body) measures that affect both perceived effort and performance in the remaining events. One study found that athletes do not bike or run as economically after swimming and do not run as economically after the bike segment. Part of this lack of economy may in fact be due to an athlete’s inadequate technical ability or fitness level, which in turn leads to an increased metabolic load. This, then, emphasizes the need for transition training between each discipline and specific physiological training that will help triathletes switch between disciplines quickly and more efficiently-thus biking faster out of T1 and running faster out of T2. One of the key factors in having a successful transition experience is knowing the layout of the transition area, including its entry and exit points, and also the layout of your own equipment. Many triathletes bring far too much baggage into the area and clutter it up, not only for themselves but also for those sharing the rack, so bring only what you will be using during the actual race. You should also note that in accordance with USAT rules, you “own” only the piece of real estate where your wheel touches the ground, so do not spread your equipment in too large an area. Most athletes rack their bikes by the seat so the front wheel is touching the ground. This can make for a faster exit from the bike rack than, say, if the bike is racked by the brake levers, which makes it more difficult to remove. Most races have a single transition area, so according to USAT rules, athletes must return their bikes to their assigned positions on the bike rack, and failure to do so may result in a penalty. It is worthwhile to lay out your kit the same way for every race and have a set routine of what you put on first so you have less to think about in the heat of the race. It is well known that swimming has an impact on subsequent cycling performance, with some studies demonstrating that overall cycling performance may be hindered by short-duration, high-intensity swimming, such as a sprint triathlon when the distance is much shorter (usually 750-meter swim, 20K bike, and 5K run), thus many athletes try to swim this leg much faster than normal. One method of countering the detrimental impact of high-intensity swimming is drafting. Drafting is the act of swimming very close behind or at hip level to another swimmer. It reduces passive drag, thus decreasing the effort to swim the same distance. Also drafting usually improves stroke economy and efficiency, therefore potentially improving the subsequent cycling performance. To take maximal advantage of drafting, swimming behind another triathlete at a distance up to 1.5 feet (.5 m) back from the toes is the most advantageous; in lateral drafting-in kayaking this is termed “catching the bow wave”-a swimmer’s head can be level with another swimmer’s hips. You would do this when there isn’t physical room to get behind another swimmer’s toes or there are other athletes all around you, preventing you from moving. Also, many triathletes are aware of terms such as blood pooling and orthostatic intolerance but don’t actually know what they are. Orthostatic intolerance is characterized by impaired balance, dizziness, blurred vision, or even partial or complete loss of consciousness. This may occur postswim in athletes with normal blood pressure because of gravitational stress and the removal of the muscle pump. In fact, one study showed that severe dizziness after swimming when exiting the water and standing up for the transition section is a common occurrence for many triathletes, but it is more prevalent in highly trained endurance athletes. If this happens to you frequently, you should seek medical advice. However, the good news is that most athletes who get checked out by their doctors discover that severe dizziness is usually benign. To counteract the effect of gravity and maintain blood pressure and venous return, one study suggests continuing to keep moving rather than stopping abruptly. This is especially important when removing the wetsuit upon exiting the water, stopping to walk up wet steps or noncarpeted transitions, bending down to put on cycling shoes, and so on. One way to offset dizziness as you leave the swim is to start utilizing the muscular pump by working the calf muscles as soon as possible, meaning you should take short steps at a higher cadence than normal as you make your way to the transition. Ultimately, this will improve your ability to maintain venous return and blood pressure, maintain mental concentration through the transition, and execute pacing strategies for the start of the cycling discipline-thus going faster out of T1. A debate exists regarding the metabolic cost of running at the end of a triathlon compared with running the same distance in isolation. However, the vast majority of research suggests that high-intensity cycling will have a detrimental effect on subsequent running performance, with the effects dependent on the fitness level of the triathlete; the greatest decreases in performance are observed in recreational triathletes, and minimal effects are seen in elite triathletes. To offset the impact of cycling on running performance, researchers have come up with a few practical strategies; see Bentley et al. (2008) for further details. In summary, triathletes may be able to improve running performance by (1) drafting behind as many athletes as is practical (in draft-legal events); (2) adopting a cycling cadence of between 80-100 rpm (note, however, that cadence is a very personal matter-just consider the cycling cadence of Lance Armstrong (above 110 rpm for several hours at a time), for example-but many in triathlon will find a slightly higher cadence is acceptable); and (3) concentrating on reducing the effort during the final minutes of the cycling stage to prepare for the run. Points 2 and 3 really strike home for many coaches and physiologists. Pro cyclists will of course state the physiological benefits of spinning at greater than 110 rpm, but all too often, triathletes will trash themselves on the last 5K of the cycling discipline when coming in for the home stretch. However, the global performance time of a triathlon is the most important aspect, not the bike time. As such, establishing optimal pacing strategies for the start of the bike, the end of the bike, and the start of the run is an individual task and should be done in training on a regular basis. To put it as simply as possible: Don’t leave your run on the bike! And spinning is better than crunching big gears. To emphasize this point, various studies tried to determine the best pacing strategy during the initial phase of an Olympic-distance triathlon for highly trained triathletes. Ten male triathletes completed a 10K control run at free pace as well as three individual time-trial triathlons in a randomized order. In the time trials, the swimming and cycling speeds imposed were identical to the first triathlon performed, and the first run kilometer was done alternately 5 percent faster, 5 percent slower, and 10 percent slower than in the control run. The triathletes were instructed to finish the remaining 9 kilometers (5.6 miles) as quickly as possible at a self-selected pace. The 5 percent slower run resulted in a significantly faster overall 10K performance than the 5 percent faster and 10 percent slower runs, respectively (p < .05). Of note, the 5 percent faster strategy resulted in higher values for oxygen uptake, ventilation, heart rate, and blood lactate at the end of the first kilometer than the two other conditions. After 5 and 9.5 kilometers, these values were higher for the 5 percent slower run (p < .05). This excellent and well-controlled study demonstrates that contrary to popular belief, running slower during the first kilometer of an Olympic-distance triathlon may actually improve overall 10K performance. With the recent advances in global positioning system (GPS) watches, split times and distances are easily available for triathletes to take advantage of even if no distance markers are provided during the triathlon. This technology is best used only if the triathlete has previously established performance standards for that particular event. Thus, for these data to be most effective, the triathlete must know what split time equals 5 percent slower than his maximal effort. One of the most valuable long-term pieces of information you can gather is resting heart rate. When you wake up each morning, take a minute to get an accurate resting heart rate and keep a log. You’ll find this an invaluable tool, providing feedback on injury, illness, overtraining, stress, incomplete recovery, and so on. It is also a very simple gauge of improvements in fitness. We know athletes who have gathered resting heart rate data for years and in a day or two can identify a 1 or 2 bpm elevation that precedes an illness or a bonk session. Some newer heart rate monitors have the capacity for 24-hour monitoring. Several factors affect heart rate at rest and during exercise. In general, the main factors affecting heart rate at rest are fitness and state of recovery. Gender also is suggested to play a role, albeit inconsistently (more about this later). In general, fitter people tend to have lower resting heart rates. Some great athletes of the past have recorded remarkably low resting heart rates. For example, Miguel Indurain, five-time winner of the Tour de France, reported a resting heart rate of only 28 bpm. The reason for this is that, with appropriate training, the heart muscle increases in both size and strength. The stronger heart moves more blood with each beat (this is called stroke volume) and therefore can do the same amount of work with fewer beats. As you get fitter, your resting heart rate should get lower. The second main factor affecting resting heart rate is state of recovery. After exercise, particularly after a long run or bike ride, several things happen in the body. Fuel sources are depleted, temperature increases, and muscles are damaged. All of these factors must be addressed and corrected. The body has to work harder, and this increased work results in a higher heart rate. Even though you might feel okay at rest, your body is working harder to repair itself, and you’ll notice an elevated heart rate. Monitoring your resting heart rate and your exercise heart rate will allow you to make appropriate adjustments such as eating more or taking a day off when your rate is elevated. These same factors of recovery and injury also affect heart rate during exercise. The factors that elevate resting heart rate also elevate exercise heart rate. If you’re not fully recovered from a previous workout, you might notice, for example, at your usual steady-state pace, an exercise heart rate that is 5 to 10 bpm higher than normal. This is usually accompanied by a rapidly increasing heart rate throughout the exercise session. An extremely important factor affecting exercise heart rate is temperature. Warmer temperatures cause the heart to beat faster and place considerable strain on the body. Simply put, when it is hot, the body must move more blood to the skin to cool it while also maintaining blood flow to the muscles. The only way to do both of these things is to increase overall blood flow, which means that the heart must beat faster. Depending on how fit you are and how hot it is, this might mean a heart rate that is 20 to 40 bpm higher than normal. Fluid intake is very important under these conditions. Sweating changes blood volume, which eventually can cause cardiac problems. The simplest and most effective intervention to address high temperature and heart rate is regular fluid intake. This helps to preserve the blood volume and prevent the heart from beating faster and faster. Another important factor affecting exercise heart rate is age. In general, MHR will decline by about 1 beat per year starting at around 20 years old. Interestingly, resting heart rate is not affected. This is why the basic prediction equation of 220 – age has an age correction factor. As a side note, this decrease in MHR often is used to explain decreases in .VO2max and endurance performance with increasing age, because the number of times the heart beats in a minute affects how much blood is moved and available to the muscles. We have coached and tested thousands of athletes, and the general trend is that athletes of the same age who produce higher heart rates often have higher fitness scores. However, your MHR is what it is, and you cannot change it. Don’t obsess over it. A final factor is gender. Recent studies have suggested a variation in MHR between males and females. However, the data are inconclusive with the calculations resulting in lower MHRs for males versus females of the same age, while anecdotal reports suggest that the MHRs are actually higher in males. In general, females have smaller hearts and smaller muscles overall than males. Both of these factors would support the conclusion of a higher MHR in females, certainly at the same workload. We have to conclude that the jury is still out on the gender effect. If you’ve raced more than once, you know you easily can spend too mush time in the transition area. This is a good quick article from the authors of “Championship Triathlon Training“, where you can learn how to save time in the transition area. It’s the easiest time you’ll make in the race. It is reprinted with permission by Human Kinetics. to master because rapid changes in movement put stress on the body. system regulation, and muscular tension,” Dallam says. 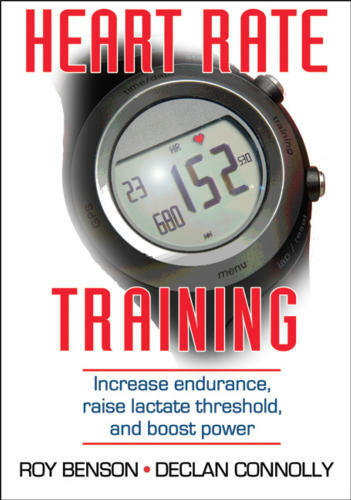 book, Championship Triathlon Training, Dallam offers tips for mastering bricks. Pull your feet out of your shoes while riding and then dismount at speed, leaving your shoes clipped into your pedals. Minimize equipment you will need to put on in the transition area for the run (that is, put on only your shoes in this area). Put on your running shoes while standing. Put on any other equipment-hat, glasses, and race belt-while running.